Unacast Feature – Eddystone or iBeacon: Which Beacon Protocol suits your Proximity Marketing Campaign? 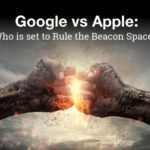 If you are someone who has been closely following the news on the beacon world, I bet you have already read a score of articles on the ‘Beacon Wars’ between Google’s Eddystone and Apple’s iBeacon. While we saw Apple leading the beacon front in the year 2015 with a number of huge brands such as Elle, Coca-Cola, Macy’s, etc., having announced successful beacon pilots, things have changed quite a bit in 2016. With 45% of the top proximity marketing companies supporting Eddystone as of Q1 2016, the gap between iBeacon and Eddystone seems to be fast closing. (1) Chrome browser support on Android for Eddystone, thus allowing 800 Million additional users to interact with the Physical Web via Eddystone-URL. (2) Eddystone-EID, a secure beacon format that Google aims to put to use in order to allow users to keep track of things with ease. Now, while all this buzz and excitement around the two beacon protocols has resulted in a surge in the number of beacon success stories that are being published, there is very little information on the factors that a business needs to think through before they choose between Eddystone and iBeacon. (1) Which beacon protocol suits my business best? (2) Should I opt for beacons with Eddystone protocol as it allows me to kickstart my proximity marketing campaigns without an app? (3) Or, should I opt for beacons with iBeacon protocol as it allows me to reach out to majority of my customers on iOS, with ease? Though mobile is one of the primary factors driving marketing budgets and plans in 2016, many SMBs (Small and Medium Businesses) even today are yet to launch their mobile app. As a result most of them often struggle to get started with proximity marketing because of the need to have a beacon-enabled app in place in order to interact with consumers. While few businesses have approached this problem in an interesting way by leveraging popular third party apps such as Shazam, WeChat, etc., to offer enhanced proximity driven experiences to customers many others have struggled with that as well. Therefore, if your business already has a popular app in place, then it’s probably best to leverage iBeacon technology as it allows you to personalize content and use insights on consumer behaviour to strengthen your sales. On the other hand, if you don’t have an app in place, then you can simply choose to go ahead with Eddystone. 2) Primary audience base – iOS or Android? Due to differences in the manner in which iBeacon and Eddystone beacon protocols function on both Android and iOS devices, you should probably choose between them based on the kind of smartphones that are used by a major chunk of your consumers. For example, if majority of your consumer base are iOS users then you should probably go ahead with iBeacon as beacons with iBeacon protocol tend to optimize device battery consumption and scanning performance on iOS devices while beacons with Eddystone protocol tend to cause a significant drain in the battery levels of your consumer’s iOS device. While, most businesses across various verticals leverage beacons to extract insights from consumer data, the truth is that you cannot use leverage Eddystone beacons for the same. This is primarily because in such cases there will be no app that can provide access to previous purchase behaviour. However, the Beaconstac platform empowers businesses with access to analytics data such as customer dwell time, customer response rate, link timestamp, frequency of link open, etc., via Eddystone beacons. Read the full post on ‘Eddystone or iBeacon: Which Beacon Protocol suits your Proximity Marketing Campaign?‘ on Unacast to learn how in detail about other factors such as need for personalized services and more. [Webinar Slides] Will Eddystone take on iBeacon in 2016? iBeacon vs Eddystone: Which one works better for your Pilot Project?